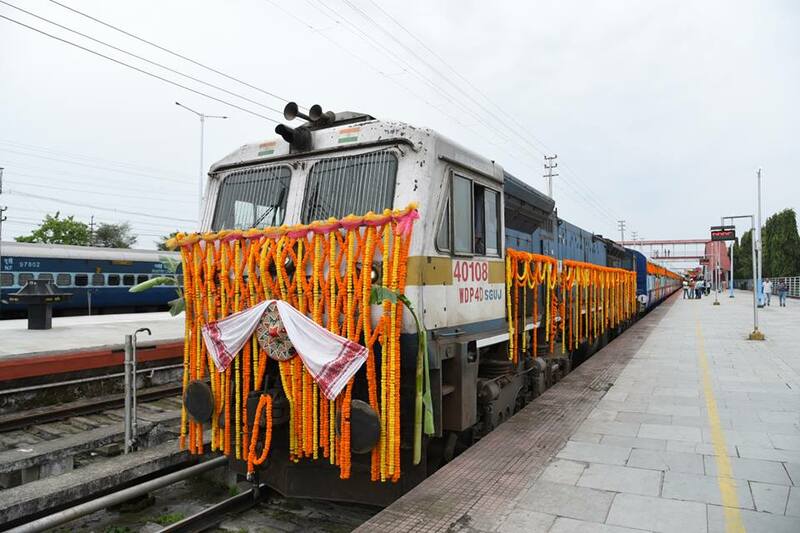 The Northeast Frontier Railway (NFR) appointed Babul Dey of Tinsukia Division as the first Train Captain in the 12423 Dibrugarh-New Delhi Rajdhani Express on Friday. To improve onboard services and redress passengers’ grievances, NF Railway has introduced ‘Train Captain’ in some premium trains. The Train Captain will look into issues like cleanliness of coaches and toilets, availability of water and working of electrical fittings like lights, fans, charging points, he added. The Train Captain will be provided with a badge and all onboard personnel from either railways or outsourced agencies will have to report to him/her. The contact number and name of the Train Captain will be made available to help passengers make contact by printing on the reservation chart. The Railway Board has directed all Zonal Railways to introduce the services of Train Captains on priority basis to all premium trains to address issues that may arise during the journey.